The eyes are made up of many important components that all play a role in providing individuals with clear, focused vision. One of the parts of the eye that is most responsible for a person’s central vision is the macula. The macula is the center part of the retina, which is the collection of light-sensitive tissues at the back of the eye. The most common eye condition to affect the macula is macular degeneration. Macular degeneration is a painless condition, but one that can have a great impact on a person’s vision. The condition primarily affects the central field of vision, or those images that are seen when a person is looking straight ahead. There are two types of macular degeneration, or AMD: dry AMD and wet AMD. While it is not usually possible to determine exactly what causes AMD, there are several potential macular degeneration causes that affect our Shelby Township, MI patients. Patients with any of the risk factors for AMD should be especially vigilant about evaluating eye health and undergoing routine eye exams. Age-related macular degeneration is the most common form of macular degeneration, so it is important for individuals to pay special attention to the health of their eyes as they age. 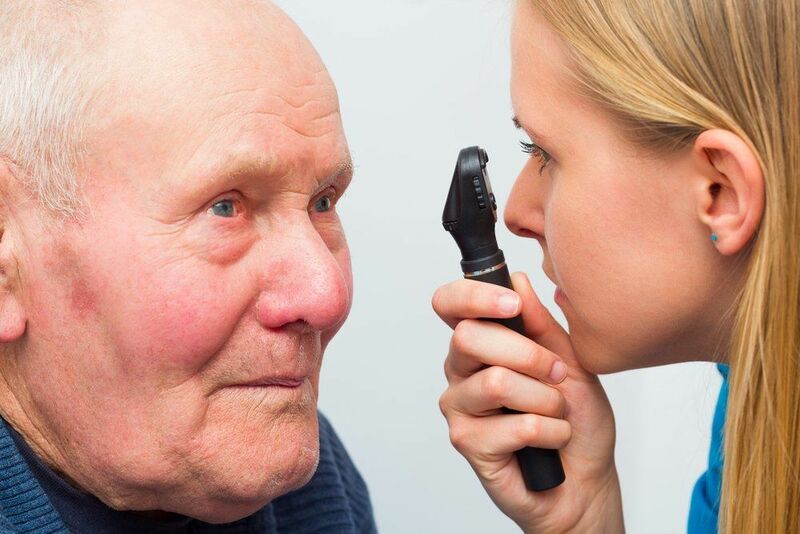 Although people can develop age-related macular degeneration as early as their middle ages, the significant risk factor is for those patients aged 60 and over. By the time a patient reaches the age of 75, there is a 30 percent risk of developing age-related macular degeneration. This increased risk is due to a natural breaking down of the cells in the macula. Evidence suggests that genetics also plays a role in macular degeneration. If there is a family history of macular degeneration, the risk of developing this disease is greater. Routine eye exams are important for all patients, but those with a family history of AMD should report this to their eye care provider. In many cases, we recommend that patients with a genetic inclination for conditions such as AMD schedule more frequent eye exams than those without a family history of the eye disease. Smoking is often thought of as a habit that damages the lungs, but it can affect all areas of the body. Studies have shown that smoking can double the risk of macular degeneration. When smoke is taken into the lungs, the chemicals contained in the smoke are absorbed by the blood stream. Some of these chemicals are oxidants. Oxidants can irritate the cells of the retina, which causes the immune system to activate. When the immune system is activated, the cells become inflamed, and, ultimately, the tissues of the retina and macula can become damaged. Most smokers can avoid the increased risk of AMD by quitting this harmful habit. Another condition that increases the risk of macular degeneration is hypertension, or high blood pressure. High blood pressure can constrict the blood vessels throughout the body, including those that lead to the retina. This can deprive the retina and macula of oxygen, which increases the risk of cell damage. Aside from the effect of blood pressure on the cells of the macula, many studies indicate that medications used to treat high blood pressure may also increase the risk of AMD. Early treatment is key to controlling macular degeneration and preserving central vision. The best way to diagnose AMD early on is through routine eye exams. If you are looking for an experienced eye doctor to protect the health of your eyes, consider the trusted care of Dr. William S. Goldstein. Contact us at your earliest convenience to learn more about our comprehensive range of eye care services.